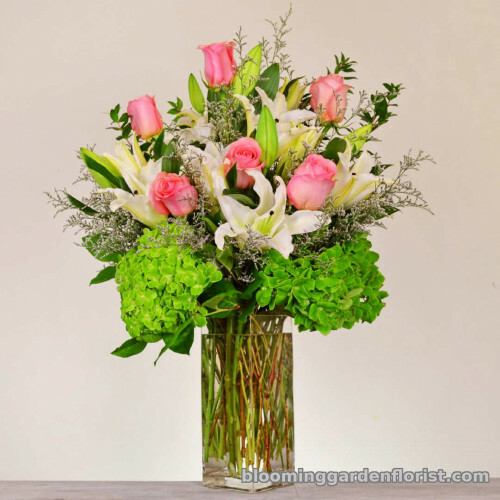 A stunning design of soft pink roses, fragrant white lilies, and green hydrangea designed in an elegant clear glass vase. Premium: Larger design, larger vase & 12 roses, 6 lilies, 4 hydrangeas. Approximately 18″ W x 22″ H. Orientation: All-Around.